'Tis the season to... wander into gothic manors and abandoned meat-packing plants? Sure, fall usually conjures mental images of pumpkin spice lattes and cable-knit cardigans. But it’s also the time of year when we drive down sketchy farm-to-market roads and pay $30 a person to have high-school kids in scary costumes freak us out. 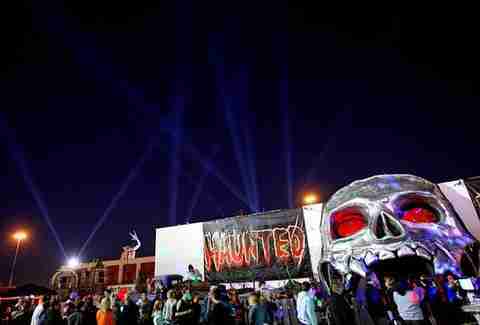 Here’s a handy guide to the best haunted houses in the area. This house is largely regarded as the gold standard of haunted houses in the Metroplex. The holder of two Guinness Book world records for Largest Haunted Attraction and Largest Walk Through Haunted House, it’s located in a building that, handily, is a 100-year-old abandoned meat-packing plant. The screams just write themselves in this multi-story terror tower. Note that you can purchase tickets ahead of time online, but it's cash-only at the door. The production values are impressive at this Plano haunted house. 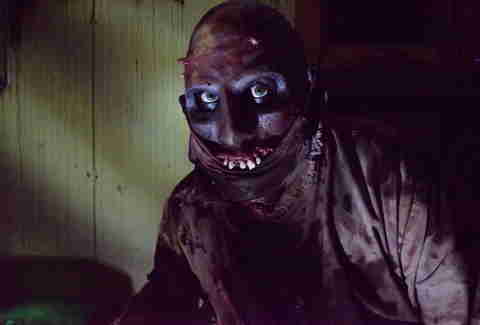 Using animatronics, Dark Hour puts the tech in high-tech terror. The special effects, choreography, and visuals would not seem out of place in a Broadway production. If you are the kind of person who prefers to watch your scary movies on your tricked up Dolby surround-sound home system in 4K Ultra HD, this is probably the best haunted house bet for you. If you like a charity tie-in with your screams, this should be at the top of your list. 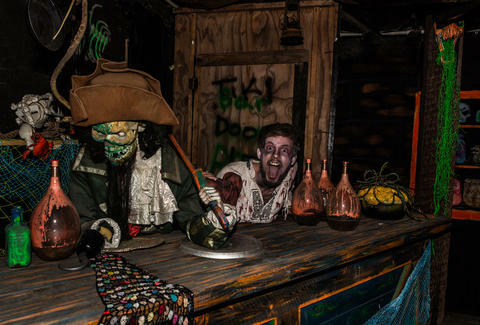 For almost 30 years, this haunted attraction serves up the scares but also offers some philanthropic bang for your buck. This attraction also features Scaredy Cat special nights with family-friendly, lights-on trick-or-treating, which raises money for local charities. This attraction, located in the mid-cities in Bedford, features two haunted houses for the price of one but it’s the theme of one of those attractions that will likely prove quite popular this year. Hot on the heels of the success of the remake of Stephen King’s IT, Moxley Manor’s Big Top Terror will put the fear of God (or at the very least, clowns) in even the bravest of souls. It’s easy to make an entire night of a trip down to Waxahachie to visit Screams. Not only does this terror-filled behemoth offer five different themed haunted houses, it also features live DJs and “Scary-oke” karaoke to truly send a chill down the spines of friends and strangers with your off-key rendition of Adele’s “Rolling in the Deep.” Parking is free, which is helpful because you will need to save that cash for the concessions and souvenirs for sale. 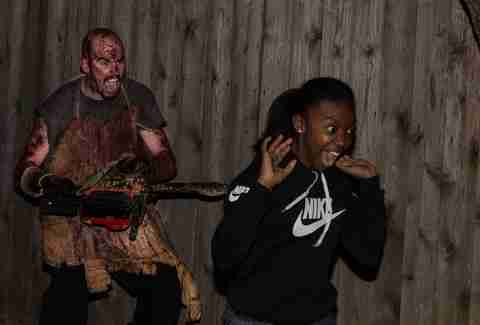 If you and your friends are looking to explore all possible avenues of terror, kill two birds with one adrenaline-filled stone and hit up Six Flags Fright Fest. If sightings of Freddy Krueger or Jason Voorhees aren’t scary enough, you can test your nerves on Halloween rebranded rides such as the Titan Witch roller coaster. You can always calm yourself down with a nice Lemon Chill. Just a 15-minute drive south of Downtown Dallas, this gothic manor offers four distinctly different themed attractions as well as well as pyrotechnics, rooftop shows, and hayrides. Perhaps the greatest attraction of Reindeer Manor is the fact that spontaneous "Thriller" dance-alongs tend to break out. Fun fact: The manor is the actual site of a murder-suicide in the early 1900s. According to lore, this house once served as a home-based mortuary. In case you were curious, that's a really creepy and terrible idea that you should definitely not try in your own home. The compound that makes up the Parker House includes the original house and plantation as well as an abandoned sanitarium to up the creep factor. Amanda Cobra is Thrillist contributor. Follower her on Twitter @amandacobra.